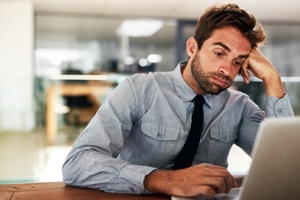 If I just close my eyes, will my files organize themselves? Why Spring Clean Your House When Spring Cleaning Tech Is Less Physical Effort? Don’t lie. You’ve been putting it off all year. Sweeping it under the rug, hoping it will go away. You’ve promised yourself you’re going to clean up the mess before it gets any more out of hand, but you’re busy with other things and the struggle is real. No, we don’t mean your literal cleaning. We’re talking about the technology issues and inefficiencies you know could be better, but haven’t taken the time to address. With Q1 coming to a close and spring upon us, there’s no time like the present to do an inventory of the tech “Spring Cleaning” to-do’s you’ve been putting off. Looking for tips? Our blog can help. Ever walked up to your front door after a long day at work with too much stuff that had to be lugged back home from the office? Sighed in frustration as you set down your things to fish for keys? Annoying, isn’t it? But what if the door could sense you coming and open for you? 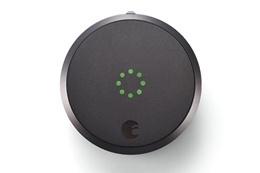 Better yet, what if you could lock and unlock it remotely, create virtual keys for guests, and more? With the August Smartlock you can—and for referring a client to Pendello, it can be yours for free! Hello, mateys. Oh wait, that’s pirates, not leprechauns. In any case, it doesn’t matter how Irish you are; at some point, you’re probably going to end up experiencing a few unlucky situations in your tech life. Here are a few of the most common ones, and some simple steps you can take to turn your luck around when they arise—no pot of gold required. Burned By the Cloud: You thought it was backed up to the cloud and it’s not. 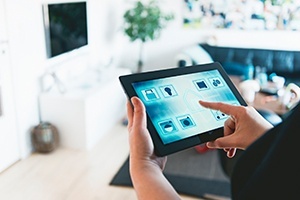 Everyday items are now being connected to the internet and controlled by mobile apps—everything from toasters to scales, sous vide devices to light bulbs, deadbolts to thermostats, baby monitors to security systems. The transition to the smart home has officially kicked off and it’s not going anywhere; you can be sure that over the next few years, even more device will become “smart,” making the adoption of this technology even more widespread.